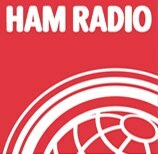 The yearly Ham Radio Hamfest in Germany is coming. 22nd-24th June 2012 ! Ham Radio 2012 is expected to be visited by more that 17000 visitors this year. Price is quite cheap, since cost 8 euro for 1 day and 18 for 3 days. This year will be a good occasion to have a direct preview on new amateur radio transceivers, the Kenwood TS-990S and the Flex Radio 6500, wand the latest Yaesu FT-3000DX. In the mean time, enjoy Ham Radio 2012 in Friedrichshafen.